COLUMBIA, 3/10/12 (Beat Byte) -- In an earnest and consistent attempt to notify Missouri residents of lost and unclaimed property, State Treasurer Clint Zweifel and his public information officer, Columbia resident Jon Galloway, launched a large-scale public awareness campaign with ads, press releases, and success stories. After promptly receiving a check for $2,264.96 in lost monies I didn't even know existed, this writer is one of those stories. "There is $6.1 million in 77,000 accounts just in Boone County to be claimed," Galloway told the Heart Beat. After my wife read about the Treasurer's Unclaimed Property department, she visited this site and searched for family names. She found a few bucks here and there, filled out a form, provided some identification, and received a claim of her own. She also found my name, and sent me the information. The lost money was from 15 years ago, and Treasury officials wanted old letters or bills or some way for me to prove I had resided at the previous addresses listed with the funds. They needed copies of my drivers license, Social Security card, and a notarized signature. I had no idea how much money they were holding, a figure they don't disclose for security reasons. It sounded like a lot of trouble to go through for what I was certain was a small amount. I was also concerned about possible scams. Could this be yet another way for scammers to get ahold of identifying information? No, said Zweifel, though his office has encountered other scams. "Unfortunately, Missourians have to be on the lookout for two practices that can indicate an Unclaimed Property scam - unsolicited emails asking for personal information; and an offer to return lost property, but for a fee," Zweifel told the Heart Beat. "My team does not send unsolicited emails asking for personal information. I never charge a fee." At my wife's urging, I dug around in old files, found the relevant addresses, and filed a claim via an online form that appears after you click your name on the unclaimed property list. Within a week of filing, Treasurer Zweifel's office sent a postcard acknowledging the claim. Three weeks later, the check arrived, from old escrow and bank accounts long ago closed and forgotten. 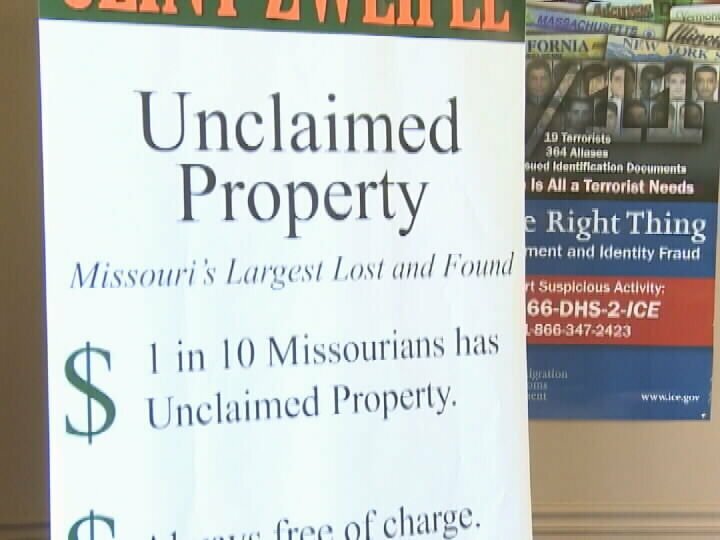 "Missourians should know that when they search for and claim Unclaimed Property through my office, it is safe, secure and free," Zweifel explained.